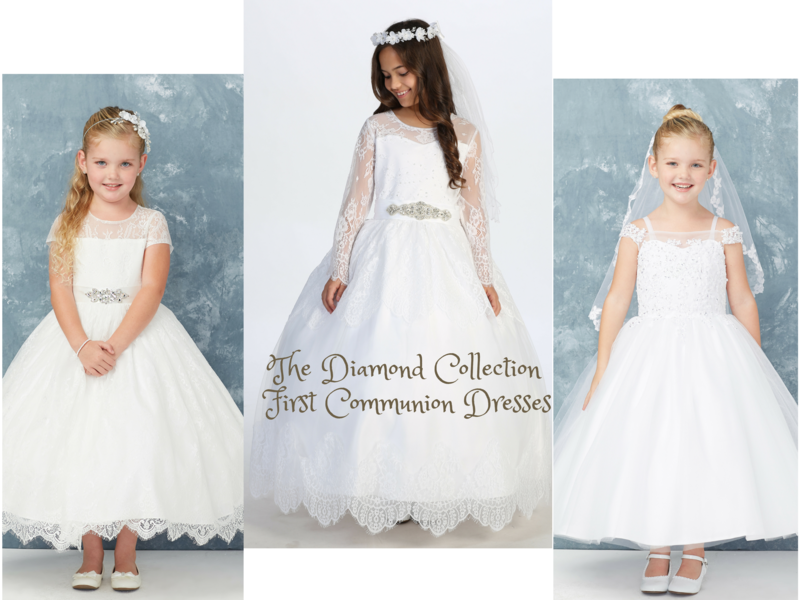 Our beautiful Diamond Collection consists of delightfully sweet first communion dresses that are not only lovely but affordably priced for Moms on a very tight budget. Your child would love these dresses and so would you because they would make memories that will leave a mark. These darling first communion dresses are made with quality fabric and very affordable if you are on a budget.If you are looking for something unique and special for your precious little one....then you have come to the right place. So, we invite you to browse through this amazing collection of affordable first communion dresses, and we promise, you would have no regrets!Blush Kids is pleased to have you as their customer and so, if there is anything we can help you with during the course of your shopping on line with us, please give us a call or email us with any questions or concerns you may have and we would gladly assist you. Now, don't forget to check out our Accessories Section for beautiful matching veils for any of the first communion dresses we carry in our store.